Is this any way to run a cruise line? You bet it is! As I mentioned in an earlier post, I recently took a cruise along the Baltic Sea (Crystal Cruises) and visited the following ports: Stockholm, Helsinki, Estonia, St. Petersburg, Berlin, and Copenhagen. Each city had their own distinct personality, some delightful and others not so much, but all interesting and a journey to places I had never visited before. I took a ton of photos on my iPhone and will post a tiny fraction of them, mostly of the meals I photographed and some interesting museums or attractions. And to start I will share some meals on the ship. Let me preface this by saying I took a cruise about two years ago to Alaska (won’t say the name of the ship, but Tulips they are not) and the food was very disappointing. So kudos to Crystal Cruises for outstanding menus with flavorful dishes and innovative presentations and impeccable customer service. We had a wonderful waiter named Cristian who was from Romania and had been working on cruise ships for more than 10 years – he was charming and doted on us – it was always a pleasure to see his smiling face at dinner each evening. 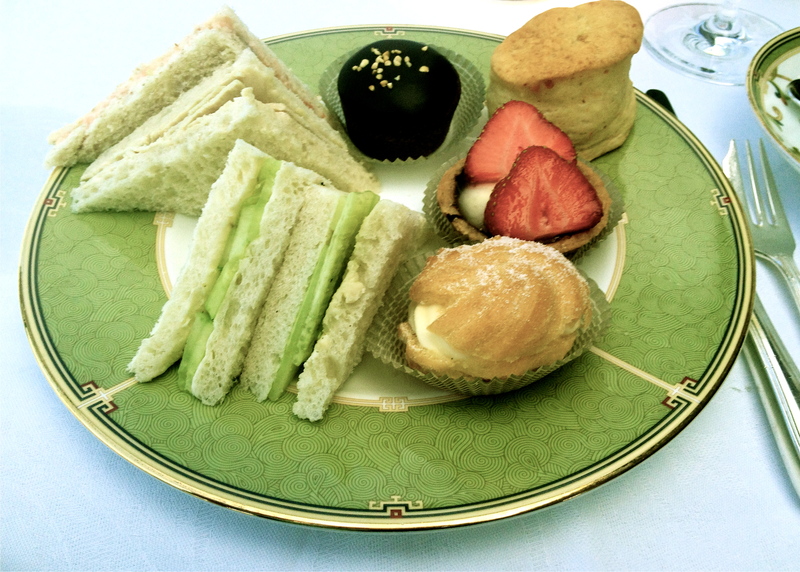 TEA TIME – “Traditional cucumber tea sandwiches with cream cheese” – also other savory tidbits along with sweets and scones. The dishes are Oberon pattern by Wedgwood – want these for my tea parties! CANAPES – After a long day at the Winter Palace in St. Petersburg we returned to the ship and listened to Lara’s Theme from Dr. Zhivago playing in the bar while sipping champagne – could anything be more perfect? 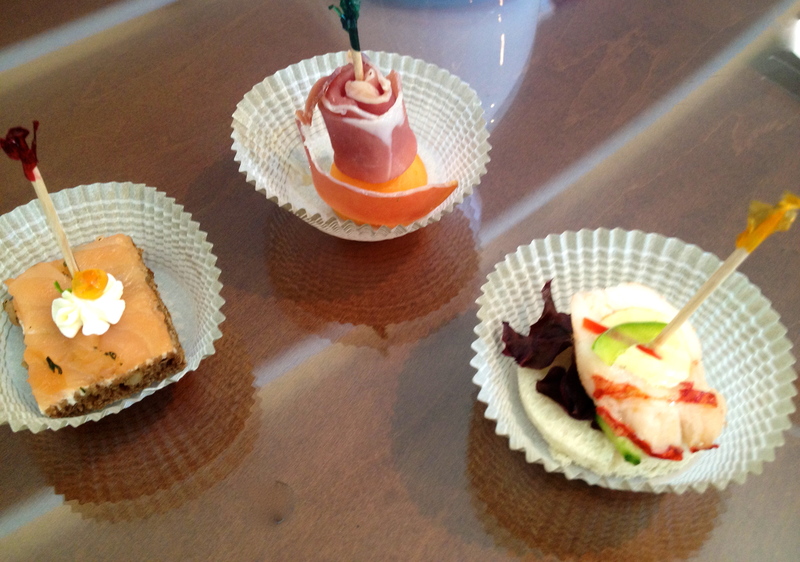 Canapes: “Pate on black bread; prosciutto atop melon; lobster on cucumber” Don’t these look delish? 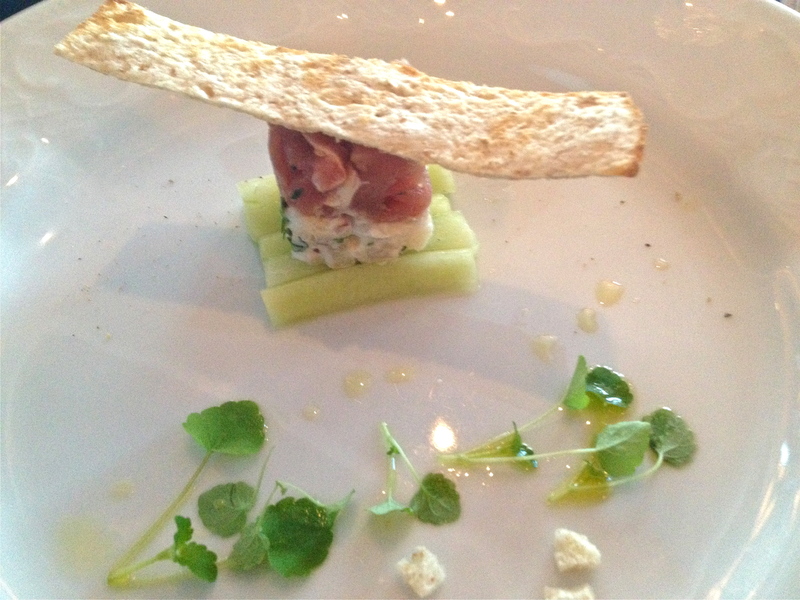 SUSHI – We tried Silk Road (Sushi Bar) – this was my appetizer: “Tartar of Fresh Yellow Fin Tuna and Smoked Sturgeon” with pickled cucumbers and whole wheat crouton toppling the tuna. Tomorrow: Next stop Stockholm and Swedish Meatballs and more….. The food looks amazing. What a nice cruise, and really love that Wedgwood!! Yeah I liked the Wedgwood a lot – but think I will have to save up before I can order any of it! Lovely! We cruise a lot and love it. 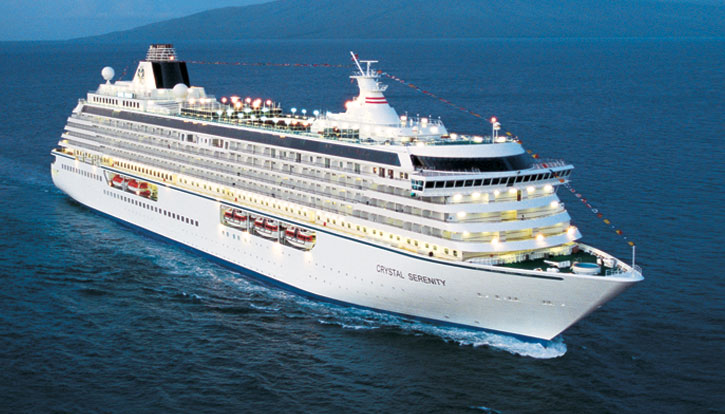 We have not cruised with Crystal yet… do know they are very good, but very pricey too. Looking forward to your next post. Yes, I have to say the more I travel the more I like cruising, particularly the part about not having to pack/unpack everytime you go to a new city or country. This was my first time with Crystal and yes they were pricey, but the value was definitely there. While I would love to become a “loyal” Crystal cruiser I think this will be a cruise line I book every 5 years or so when I want to really treat myself. There are so many great cruise lines out there, it is fun trying a different one each yearly trip. Yes they did a wonderful job with the food. Where area are you going to on your cruise? Nice – have a wonderful trip! We took a Crystal Cruise through the Panama Canal. 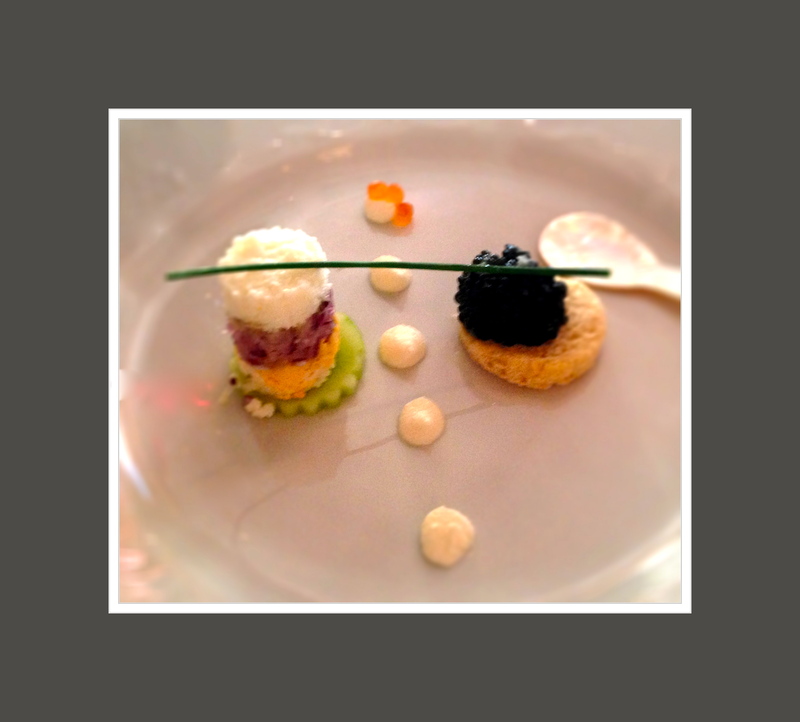 Excellent trip – excellent food! Although i have been cruising for about 20 years, this was my first experience with Crystal and I thought they did a fabulous job for the most part. We had travelers at our table that had taken the Panama Canal trip on Crystal and said just like you that it was excellent! I liked the fact that there were far fewer passengers on our ship than other cruise lines. When it would come time to re-board after a shore leave, we would just walk on. Passengers on other ships would be standing in long lines waiting to get back on the ship. lovely 🙂 Enjoyed your title and how it led into your first sentence. Great vacay! Thanks Liz – yes it was a good one and since this has been a very busy year at work, it was wonderful to just relax and let someone else do the cooking and making of beds. Nothing like a cruise!